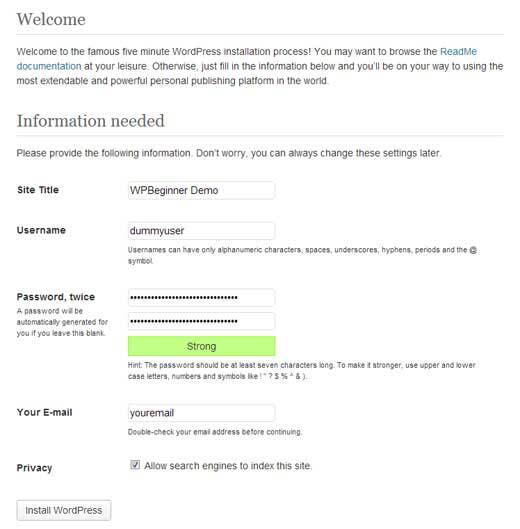 Manually installing WordPress using FTP is also known as the famous 5 minute install. To install WordPress using FTP, you need to have a FTP software . Now that you have created your database, it is time to run the install. 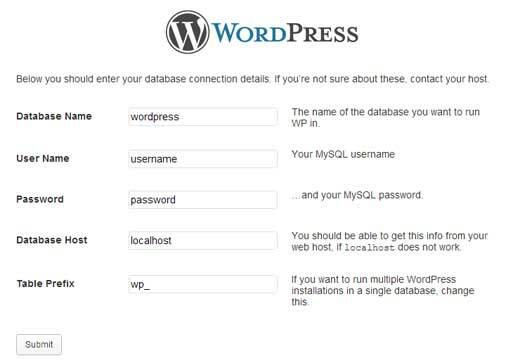 Go to the URL where you uploaded WordPress. 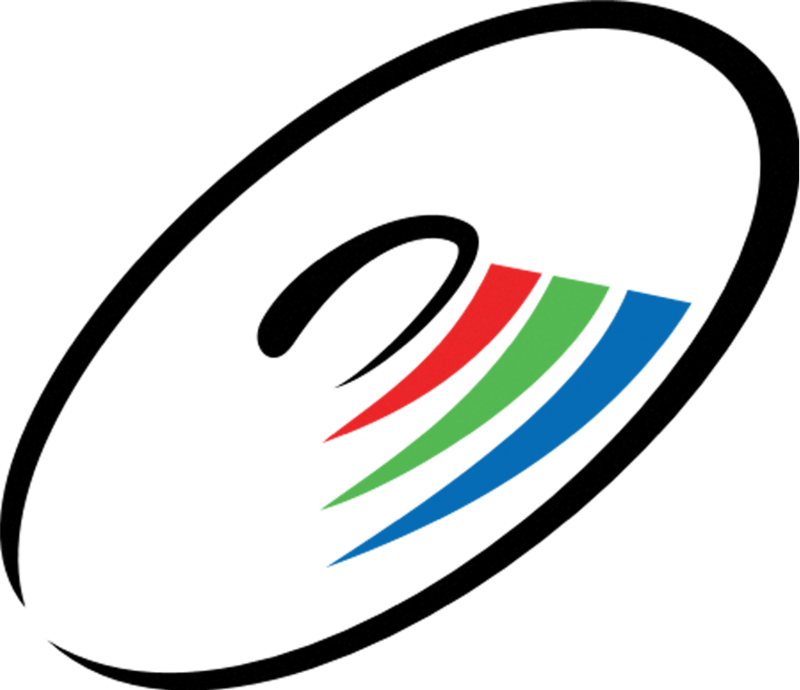 If it is in the main domain, then you will simply go to yoursite.com. 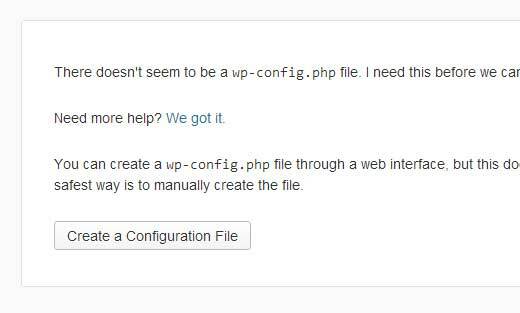 Click on the button to create the configuration page. The next screen will show you the information you need to have (database name, database username and password, database host, and table prefix). Simply click on the Let’s go button. Next you will see the form to enter all the information. Once you enter the information, click on the submit button. It will take you the page that has the button to Run the Install. Click on it. On the next screen, you will see the form to enter your website’s information. This information would be your site’s title, your username, password, and email. Click Install WordPress, and you are golden. On the next screen, you will see the Success note with your username and password. Click on the login button and start writing.